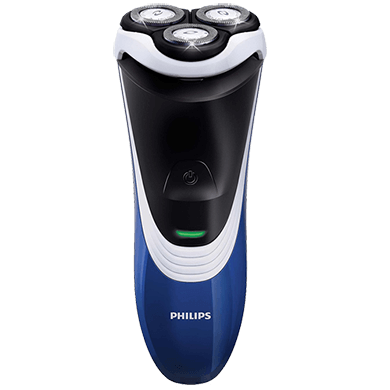 The Philips Norelco PT724/46 men’s electric shaver 3100 is an affordable rotary shaver. It’s made in a white, black, and blue plastic casing, and is unusual in that the rotary head is actually part of the entire shaver, rather than separate like on other brand models. In fact, usually rotary shavers are never this inexpensive. 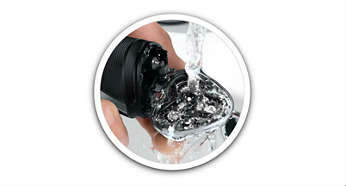 Best of all, the Philips Norelco PT724/46 can be used wet or dry. It provides a great shave, even when used dry. It can be used in the sink or in the shower. It’s 100% waterproof, and easy to clean. There is no cleaning and charging station, but it’s simple enough to rinse the shaver under a warm running tap to get out any stray hairs, or soap and shaving product build up. Shake out, wipe dry, and let the rest of the shaver air dry. There is also a cleaning brush included, so as you rinse it out under the tap you can also use the cleaning brush to get out any trapped hairs, and also to get out any residue from shaving gels and foams. You’ll find that your face has zero burn after shaving, which is extremely important when you need to look your best for job interview, meeting, date or special occasion. 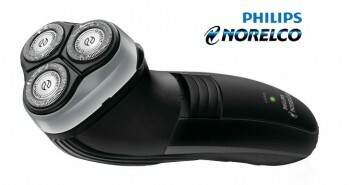 The Philips Norelco PT724/46 shaver is rechargeable and cordless. The white swirl on the shaver is made from a slip-resistant material, making it easier to grip, so you don’t drop it accidentally. 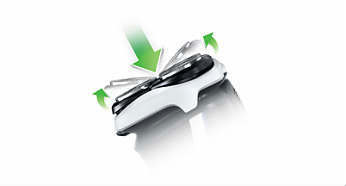 The entire shaver is slanted forward, to also aid in holding it while shaving. Built within the rotary head are three smaller rotating blades. They flex and float independently of each other. 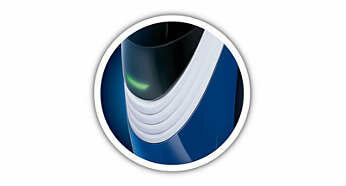 These allow the shaver to adjust to the curves and shape of your face, no matter what kind of features you have. 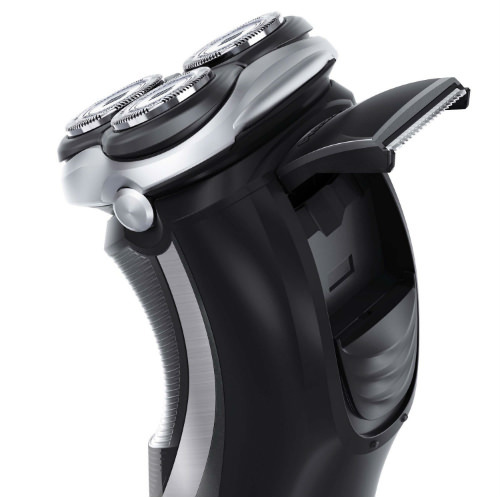 The Philips flex and float system allows the rotary head of the shaver to follow the contours of the face, and to adapt with abrupt changes in direction. Flex and float will shave off more hairs in one pass, so you won’t have to move the shaver continuously over the face, which also can cause additional skin irritation. 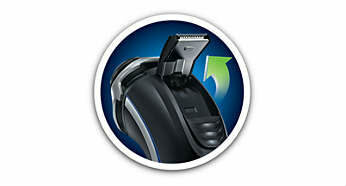 Philips has built this shaver with “comfort cut” heads that are made with gently rounded edges. This enables it to glide more smoothy along the surfaces of the skin, without scraping or causing redness. These comfort cut heads can get down closer to the surface of the skin to effectively snip off all hairs. It means a closer shave. Philips promises you’ll get a 66% closer shave with this shaver than other comparable brands. 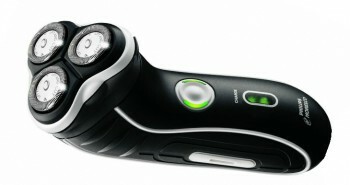 The front of the shaver has a green LCD light to indicate that the shaver has been turned on. The power on button is located just above the light. The shaver comes with a rechargeable charging stand. It’s compact and made of matt black plastic. It fits easily on the bathroom counter, and the base of the shaver fits snugly inside to charge up. The shaver is powered by a lithium ion battery. 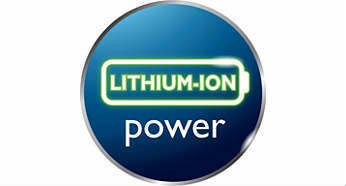 It takes eight hours to charge up, which may seem lengthy to many, but the affordability makes up for this shortfall. Once it’s charged up though, you’ll have forty minutes of shaving time, which is comparable to higher end shaver models in the Panasonic line. You’ll have enough power to use it for at least one week’s worth of shaving, if you shave every day. 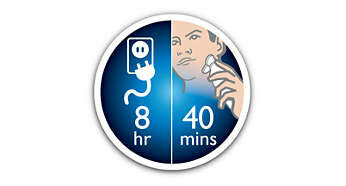 If you forget to charge up your shaver the day before, there is a quick three minute charging option. It will quickly provide enough power to your shaver so that you can have one good cordless shave in the morning. Just remember to place it back on the charger so you can have enough shaving time for the rest of the week. Once it’s charged up, it will keep its power for up to two weeks if it’s not being used. There is a battery low indicator and a battery full indicator, so you know at what stage your charge is at. 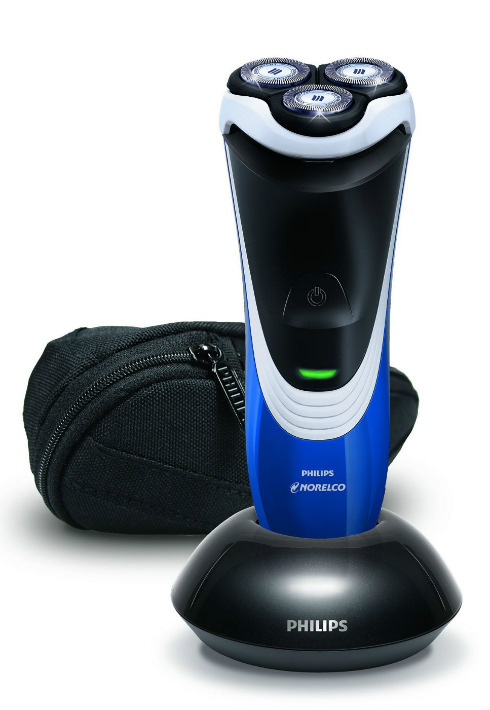 When your Norelco shaver is being charged up, it will also tell you with an LED charge light. At the back of the Philips Norelco PT724/46 is a handy pop-up trimmer that can be used to trim other types of hair on a man’s face. It’s perfect for trimming mustache, beard, and side burns, and allow a man to be perfectly groomed by the time he leaves for the office. It pops back down again by gently pressing down. You’ll find that this shaver is compact and lightweight, making it easier to grasp while shaving. It’s perfect for travelling. You can put it in your travel bag and go. Be sure to charge it up fully in advance, as it’ll last through a long weekend or more, and you won’t have to worry about taking up space in your bag with the charging stand. The Philips Norelco PT724/46 measures 2.2” by 2.2” by 5.8 inches. It weighs about 9.6 ounces. In the box you’ll receive one Philips Norelco PT724/46 men’s electric shaver 3100, a charger stand, a cleaning brush, a manual, and a protective cap. 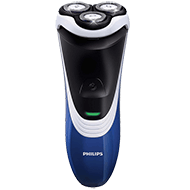 Philips backs up its Philips Norelco PT724/46 with a two year warranty, so you can be confident that even though this shaver is inexpensive, it’s still built with the high quality that Philips is known for. 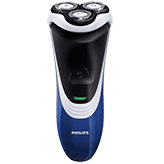 There is also the Philips 45 day money back guarantee, so if you’re uncertain whether this shaver is right for you, you can order and give it a try for a few weeks. 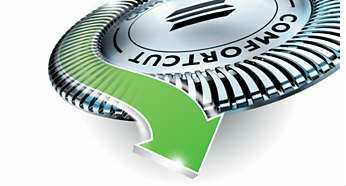 If it doesn’t work out for you, you can return it to get your money back. It’s recommended that the shaving head is replaced with a new HQ8 head replacement approximately every twelve months, to keep this shaver in optimum running order. 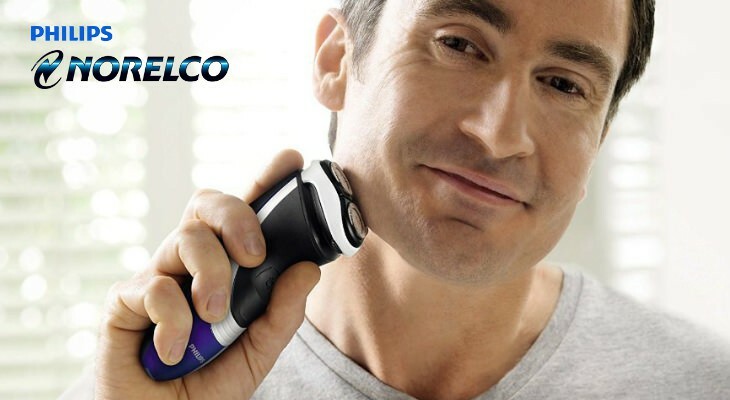 Have a great shave with less skin irritation with the Philips Norelco PT724/46 men’s cordless shaver.